Book your next celebration or gathering at Tallula’s! Our private event space on the second floor is perfect for birthdays, cocktail parties, wedding rehearsals, company meetings and special dinners. Enjoy a variety of our signature Mexican-inspired dishes and seasonal offerings, served family-style. 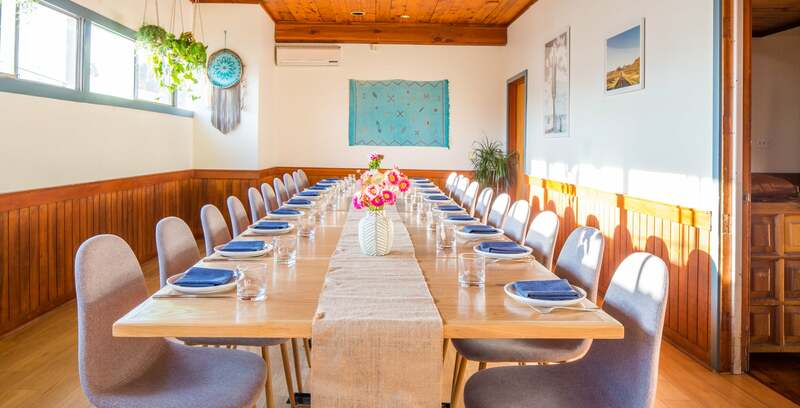 With a dedicated bar for mixing up margaritas and serving wine and beer, this light-filled and casual room can host a seated dinner for 32 or a standing party for 50 people. Please reach out to mary.thompson@tallulasrestaurant.com for a quote and to see our latest seasonal menu. We look forward to hosting you! Hosting an outdoor party? Get Tallula’s On-The-Go! Our chefs will come to you with our cart to cook up tacos, flautas and quesadillas made-to-order, while our bar team can shake up margaritas. 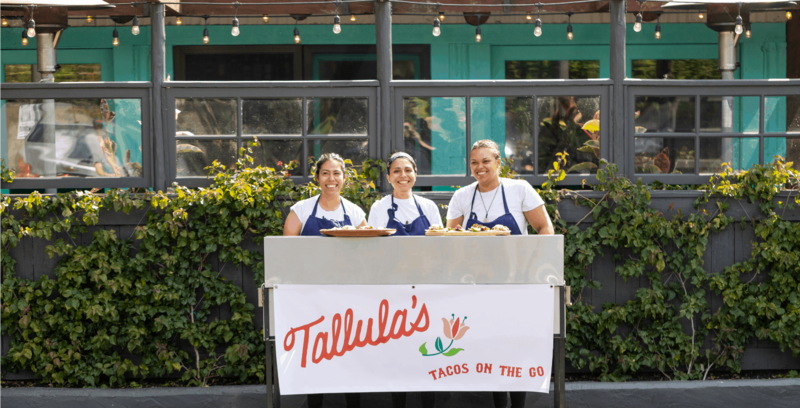 Catering orders and Tallula’s On-The-Go requests should be placed with at least 48 hours notice by e-mailing info@tallulasrestaurant.com or calling 310-526-0027.